A Virtual New Life for "Community"
Online animated mini-series heralds the welcome return of a show that practices the surreal art of the sitcom. "Community" is back in session. In a new online cartoon mini-series heralding next week's welcome return of "Community," perky-with-problems college student Annie tells energetic-and-unhinged Dean Pelton, "You seem extra animated this morning!" What would be a groaner of a line for most shows works perfectly for TV's most meta comedy, a human cartoon that at its best turns the conventions of the sitcom into surreal art. The line also serves as a reminder of the kind of quirky humor we've missed during an extended semester break that's stretched for three long months. The three-part Internet webisode, "Abed's Master Key," is set to debut Wednesday on the NBC show's site and on Hulu, leading up to the program's March 15 return. The cartoon component marks a fitting virtual new life for a show that consistently uncovers odd, uncharted worlds within the seemingly severely limited universe of Greendale Community College, a haven for misfits and losers. The versatile Greendale is a battleground for zombies and epic paintball wars. It's a refuge where a secret trampoline behind some hedges allows those in the know to bounce away their ample worries. It’s a maze-like blanket-tent society in danger of imminent collapse. It's a sprawling shrink’s office where deep-set mommy-and-daddy issues play out in heightened reality – sometimes in Claymation-like form. Perhaps most unlikely, it’s the set for an ongoing brilliant comeback by Chevy Chase. 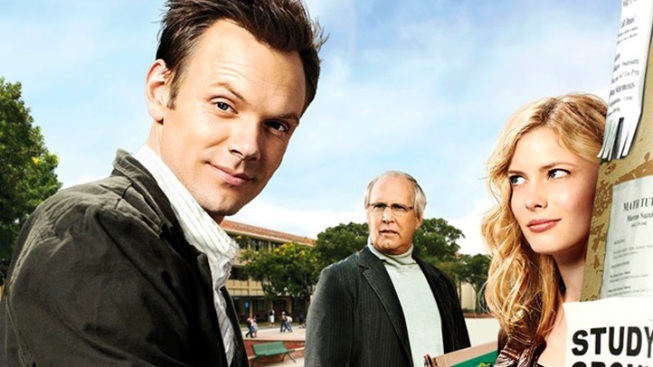 The Internet build-up to the return of "Community" also seems appropriate given the online campaign to save the show waged after NBC placed it on hiatus last fall amid lackluster ratings. We’re hoping the web series and the program’s primetime comeback help elevate it beyond the cult status it's cobbled in two-plus seasons.